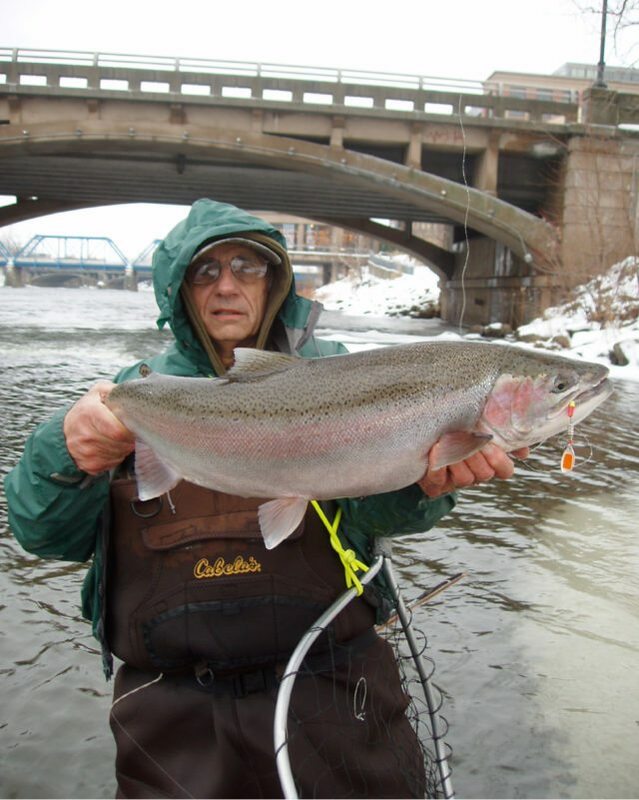 Jim Bedford was born in eastern Washington but has been a southern Michigan resident since 1950 and has been an avid river angler almost that long. He lives with his wife of 51 years, Kathel, and has two grown children. He fishes often with his daughter, Terri. Jim has earned degrees in Fisheries Biology (B.S. & M.S.) and Aquatic Entomology (Ph.D). He retired from his duties as an environmental toxicologist for the State of Michigan in 1998 and now pulls on his waders three or more times a week. Jim also taught fishing classes at his local community college for 27 years. While he concentrates his fishing in Michigan, he also travels regularly to the rivers of other states and provinces. An award winning author and photographer, Jim has been writing for over 40 years and has written for Field & Stream, Outdoor Life, In Fisherman, North American Fisherman, Salmon Trout Steelheader, Fur-Fish-Game, Fly Fishing & Tying Journal, and Trout, as well as numerous regional and Michigan publications. He has written four books including the recently published “Spinner Magic!”. He joined the Matzuo America Pro Staff in 2015.